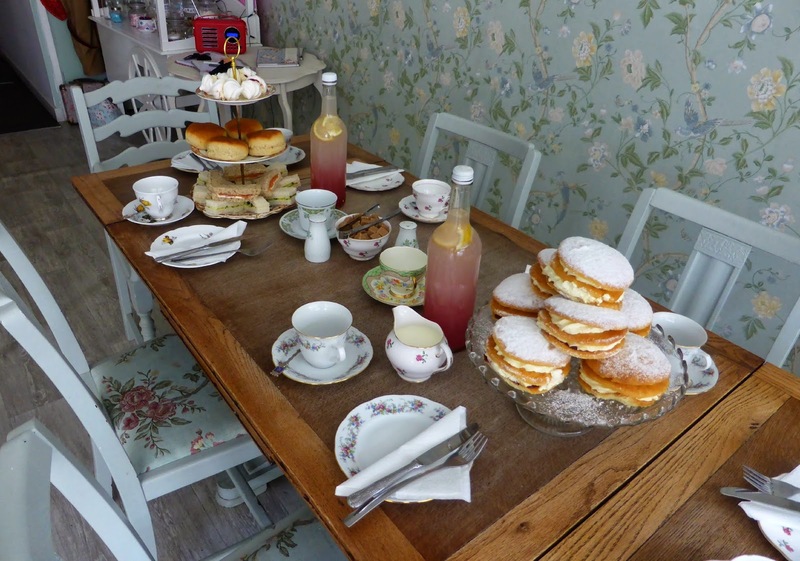 The Vintage Powder Room and Tea Shop in Whitley Bay is somewhere that's been on my list for a while. 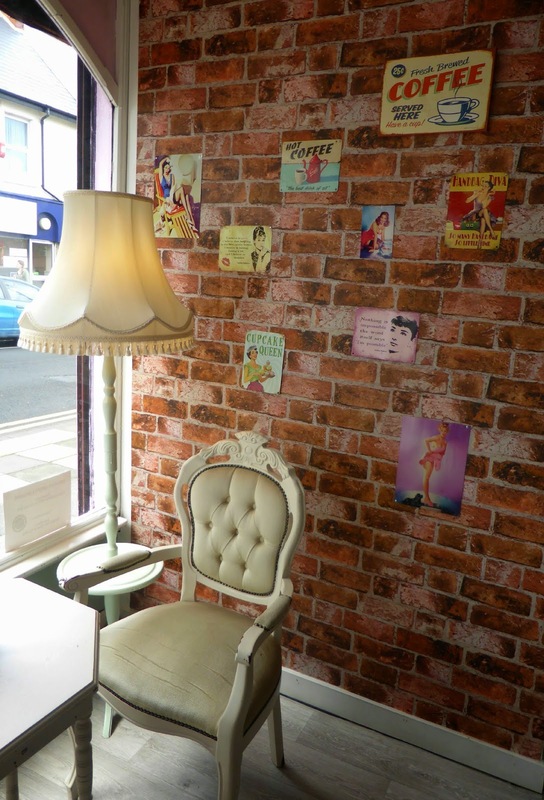 VPR is a quirky little place a short walk from the sea front and offers not only afternoon tea but also a beauty salon specialising in vintage hair and makeup as well as a range of other treatments. 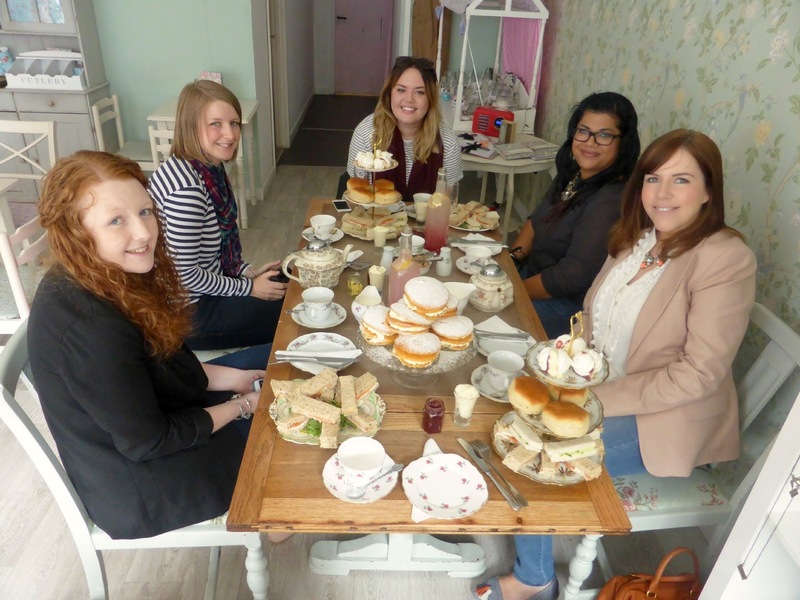 I knew this was somewhere that would be best visited with a group of girlfriends so I decided to gather a group of North East bloggers to journey to the coast and spend a Sunday afternoon indulging in all things vintage. I was joined by Emma, Kayleigh, Lisa, Rachel and Shivani and we headed straight into the Powder Room so that I could get my hair done and Kayleigh could have a manicure. 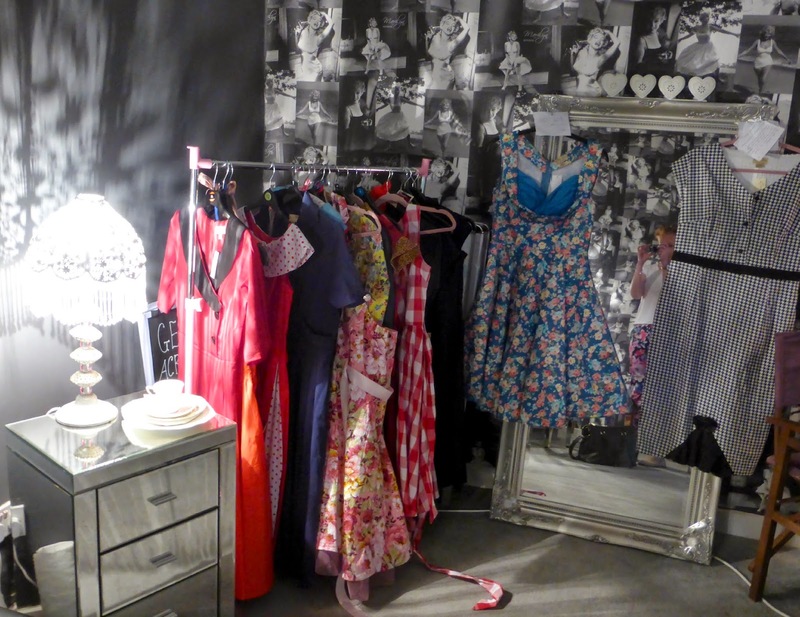 The room was gorgeous, dark and intimate and full of Hollywood glamour with a beautiful Marilyn Monroe print wallpaper. There was a rail of the most amazing dresses on show all with beautiful floral patterns and full skirts. It was quite tempting to play dress up and if you're looking for somewhere to host a really fun birthday or hen do, VPR is ideal. 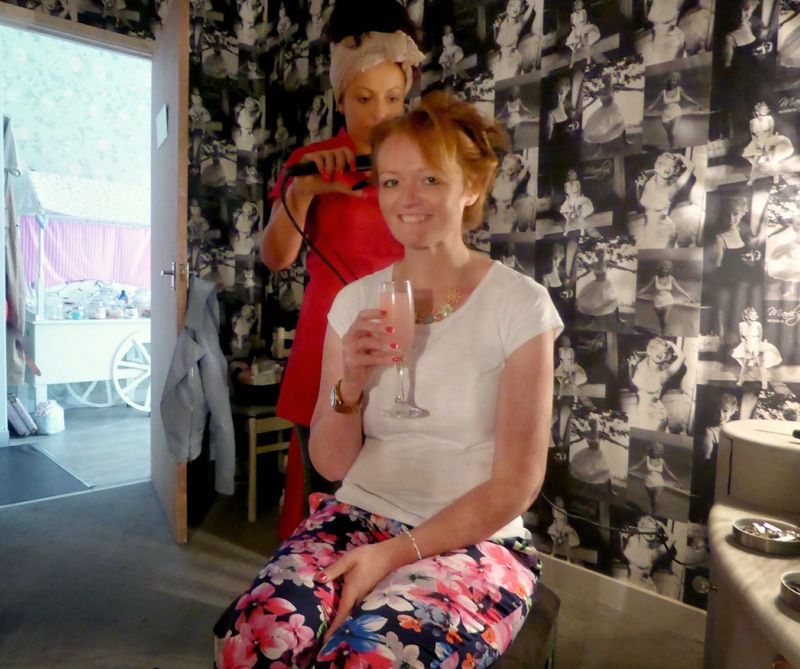 I had a lovely time sitting at a huge white dresser, sipping on a glass of pink lemonade while getting my hair done by the Powder Room's beautician, Laura. She pinned my hair into rolls and left it to set whilst she did Kayleigh's nails. I've never had my hair done in a vintage style before so I wasn't sure what to expect when she returned to take my hair down and style it, but I loved how cute it looked. It was so curly and bouncy and, rather strangely, really made me want to bake a cake. We attempted some "victory rolls" but unfortunately my hair is fairly thin at the front so we decided to pin the curls to the side instead. With my vintage looked complete it was time to head into the tea room which was pretty much my idea of perfection. Amazing kitsch wallpaper, cute furniture, pretty little lights and gorgeous china. 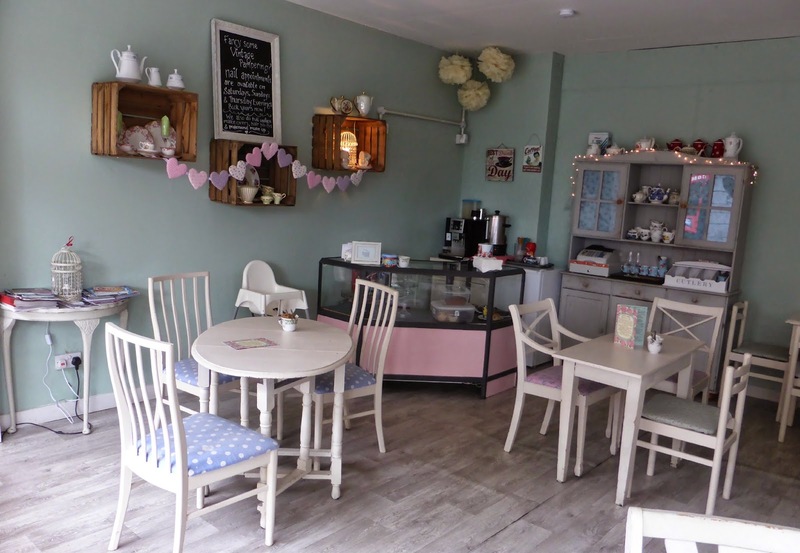 A haven for any afternoon tea fan. Our table had already been set up and was looking fantastic. Afternoon Tea at VPR is certainly an indulgent affair. For only £12.00 each we had a mammoth spread fit for Queens. Our cake tiers were full of salmon and cucumber sandwiches, plain scones with jam and cream, meringues and the most amazing Victoria Sponge cakes that we were all eyeing up from the second we sat down. Our leaf tea was served in cute china tea pots and thoughtfully we also had a jug of coffee and two large jugs of fresh pink lemonade. The food was delicious, although it did completely finish us off. It was probably the Victoria Sponges that did it, they were amazing! We had a wonderful afternoon talking nonsense, putting the world to rights and chatting about blogging. It makes me so happy that I've met such wonderful girls through writing my blog. I'm very pleased to tell you that "Cake Club" is now official and I plan to arrange monthly cake dates around the region. If you're a North East Blogger and would like to know about September's cake date which I'm currently organising please do let me know. Huge thanks to Louise and her hubby at the Vintage Powder Rooms for putting up with a group of mad bloggers running riot in their beautiful shop and staying open a little longer for us on a Sunday afternoon. 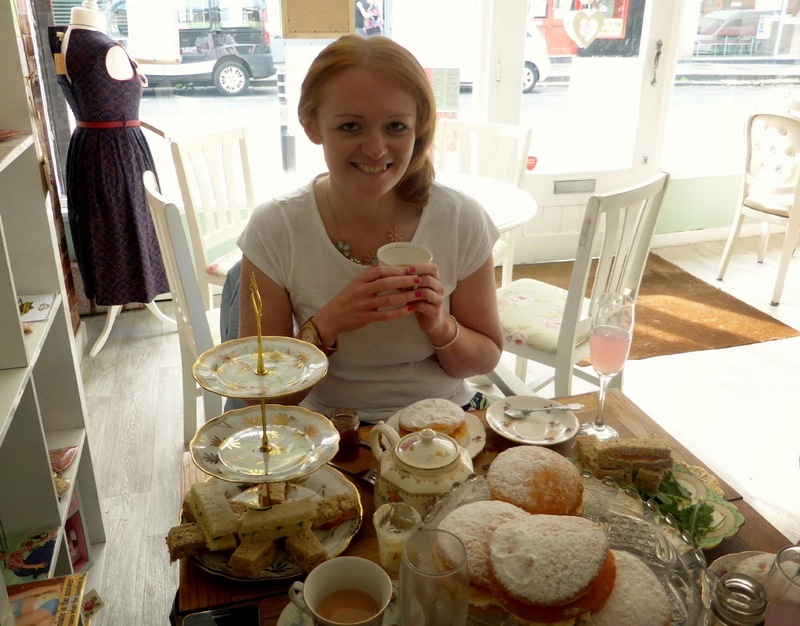 I have another afternoon tea booked on Saturday ... oooooooops! I love cake club!! What a great post :) can't wait until the next one! That place looks amazing and right up my street! Those cakes - wow! I'm practically drooling on my keyboard! Every time I see them I get hungry! Oh it looks lovely! Love the vintage dresses. How good does this afternoon tea look, I enjoy an afternoon tea when there is a good balance between heavy foods and snacks.